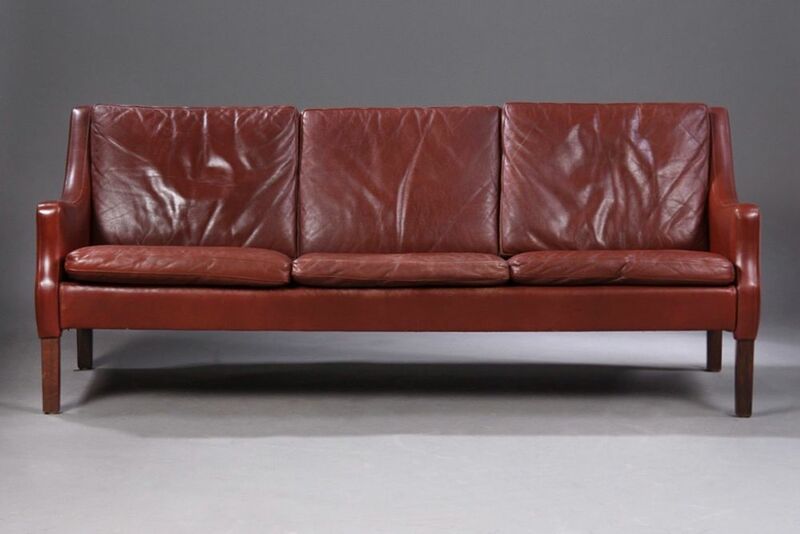 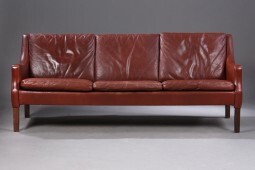 This is a Danish leather sofa from the 1950s. 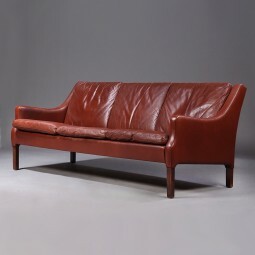 It was designed by Rud Thygesen. The features of his work are the low arms and the detail of the leather slightly protruding down the legs. 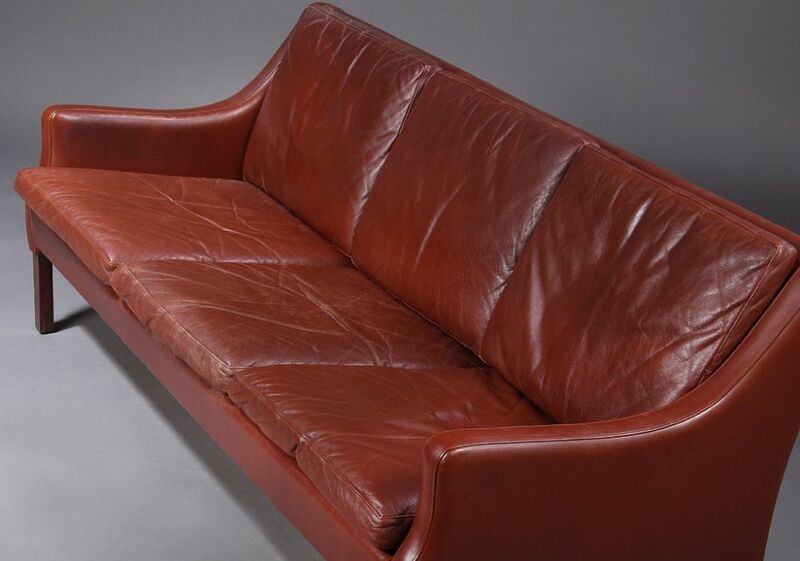 The sofa is in good original condition, it has been cleaned and waxed with a leather cream. The measurements are 181 cm wide, 74 cm deep and 74 cm high. 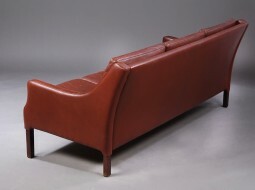 The seat is at 44 cm.